Enable Access to all libraries is Checked. The library creation appears to have succeeded. 2 directories, one is EmbyMovies and the other is "Folders." made errors in setting up folder structure. put the movies in it? If so, how do I do this? 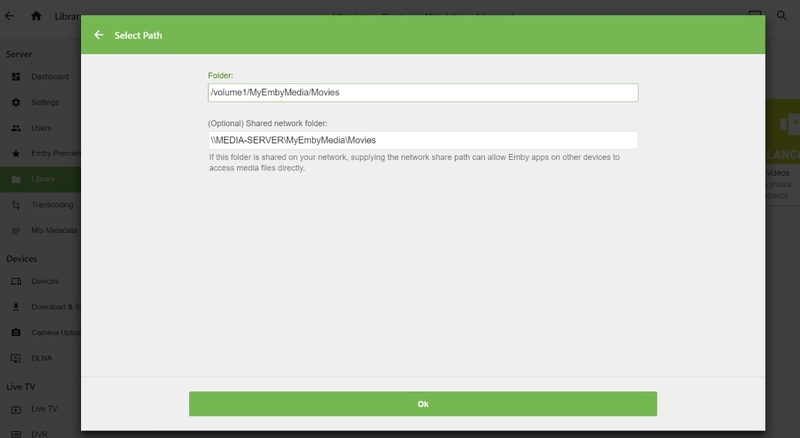 check that your emby user has read/write permission to your media folders. Access to all libraries is checked. Missing movies (empty folders) persists. convert them to something else? Next, I installed Emby onto AppleTV, problem persists, no movies. Did you setup the user embysvr? Edited by FrostByte, 31 December 2018 - 01:34 PM. following the link above, I got lost between Step 7 and Step 8.
can properly complete steps 8,9, and 10. Above all, Thanks very much! Edited by FrostByte, 31 December 2018 - 05:52 PM.